| low light conditions by 1. | Add :adv: to mechanics checks. | Add :BoosBla: to mechanics checks. | of the same type. || Recover half the material price of failed crafting checks. || of failed crafting checks. Body Guard 1 **Body Guard (Maneuver)** Once per round, perform the Body Guard maneuver to guard an engaged character. Suffer strain no greater than ranks, then until the beginning of the next turn upgrade the difficulty of combat checks targeting the protected character by that number. Body Guard (Improved) **Improved Body Guard** Once per session, when an ally protected by Body Guard suffers a hit, suffer the hit instead. Conditioned 1 Remove [s] per rank from Athletics and Coordination checks. Reduce damage and strain from falling by 1 per rank. Dedication (Agility 1, Intellect 2) Increase Agility and Intellect by 1. Construction Specialist 1 Removes [s] per rank from checks made to construct bases, defense works, positions, fortifications, tunnels, bunkers, and similar combat engineering projects. Jury Rigged (Armor) Choose 1 weapon, armor, or item and give it a permanent improvement while it remains in use. Known Schematic Once per session, may perform the Known Schematic maneuver. Make a Hard Education check. Success grants familiarity with a building or capital ship's design. She now knows the location of critical components or facilities within the structure or vehicle, as well as her own location. She can also plan unconventional routes around obstacles. Additional success, advantage, or triumph results can reveal other useful information at the GM's discretion. Contraption Once per session, take a Contraption action and make a Hard Mechanics check to fashion a device to solve a current problem using just the tools and parts on hand. This device must be approved by the GM and functions for the duration of the current encounter only. Those tools are destroyed in the process. Triumph may be spent to allow the tools to be recovered to be reused later. Tinkerer Add 1 additional hard point to a number of items equal to ranks in Tinkerer. Durable 1 May reduce a critical injury suffered by 10 per rank to a minimum of 1. Deadly Accuracy (Ranged - Heavy) Add damage equal in ranks in that skill to one hit of a successful attack made using that skill using a non-starship/vehicle weapon. Improvised Defenses Julie may attempt an Average [dd] Survival check to fashion small defenses using scavenged materials. If the check is successful, the structure can provide cover for up to 4 characters for the rest of the encounter. The character may spend :adv::adv: or :tri: from the check to increase the ranged defense the structure provides to 2. Brace 2 **Brace (Maneuver)** Perform the Brace maneuver to remove :black: :black: per rank of Brace from next skill check based on changing conditions, inclement weather, unstable surfaces, zero gravity, heavy gravity, or other disruptive physical obstacles that would make a skill check more difficult. Improvised Detonation Once per session, Julie may make a Hard Mechanics check to perform the Improvised Detonation action and build an explosive device out of available materials. The device can be detonated via any logical means (timed delay, pressure activated, or even a fuse) and when it explodes deals damage equal to the character's ranks in Intellect plus ranks in Mechanics plus :Success: on the initial check, and possesses the Blast quality at an equal value. The character can spend :tri: to increase the damage by an additional 2. :des: causes the device to detonate immediately in the owner's face. If the check would have been otherwise successful, the premature detonation does damage based on the successful check (and has an equivalent blast quality). If the check would have failed, the premature detonation only does damage equal to ranks in Mechanics plus ranks in Intellect. Improvised Position Julie may make a Hard Mechanics check and spend 12 hours constructing a secure position that can contain the group and its vehicles. The sum of its vehicles' silhouettes must be 4 or less. The position provides cover and can have additional narrative benefits at the GM's discretion. The character may spend :adv: :adv: or :tri: from the check to increase the ranged defense the position provides to 2. Master Demolitionist When resolving an attack from a personal (non-starship/vehicle) explosive or ordnance weapon, Julie may spend :adv: or :tri: to have the weapon's Blast quality affect all characters within short range (rather than engaged). If the weapon normally affects all characters within short range, then the range of effect is increased to medium instead. Grit 2 Increase Strain Threshold by 1 per rank. Powerful Blast 1 Increase Blast damage dealt by explosives, explosive weapons, and grenades by 1 per rank. Suppressing Fire 1 Julie and each ally within short range may spend :Advantage: on their failed combat checks to inflict one strain on the target per rank. Each character can only activate this effect once per round. Outdoorsman 1 Remove :Setback: per rank of Outdoorsman from checks to move through terrain or manage environmental effects. Decrease overland travel times by half. Second Wind 1 Once per encounter, Julie may use the Second Wind incidental to heal strain equal to ranks. Moving Target 1 If Julie has already acted this round, increase ranged defense by 1 per rank. Seize the Initiative Once per session, Julie may leap foward to create a daring distraction on the battlefield; perform the Sieze the Initiative maneuver. Make a Hard ([ddd]) Athletics check. If she succeeds, any nubmer of other PCs who have yet not acted this round may immediately take their turns as if there were that many PC slots at this point in the initiative order. Each PC who acts this way counts as having acted for this round (and thus cannot act again this round). Initiative order returns to its previous order at the beginning of the next round. Vehicle Combat Training Piloting (Planetary) and Gunnery are now career skills. Well-Traveled Outer Rim and Core Worlds become career skills. Spare Clip **Spare Clip** Julie cannot run out of ammo on a :Despair:. Items with the Limited Ammo quality run out of ammo as normal. Rapid Reaction 1 Suffer a number of strain to add an equal number of :Success: to initiative checks. Master Grenadier Decrease the :Advantage: cost to activate the Blast quality on any weapon used by 1 to a minimum of 1. This includes the cost to activate the Blast quality if the weapon misses. Juliet lost her family early on when the Empire took over Andvar. Lost on the streets, merely a child, she protected a group of children from bandits long enough to catch the attention of a wandering Sister of the Orthodoxy. She was taken in as an orphan, and trained among the sisterhood. Juliet is fiercely loyal to the Orthodoxy. When she found out that Holy Mother Miriam had left to join the alliance to gain support for Andvar's freedom, she volunteered to follow after her. Unfortunately, Julie is a bit erratic and prone to make rash decisions. She's a bit of an adrenaline junkie, never fully getting over the rush of protecting her friends so long ago. Still, her perseverance and dedication to her friends, despite her recklessness, has earned her the coveted title of "Paladin" within the Orthodoxy--a warrior who can be counted on to give her all to protect her comrades. **Adrenaline Junkie** - Excitement, adventure: the character loves every bit of it. She doesn't fight for money, revenge, or a thirst for blood. She fights because she can't get enough of the incredible thrill of risking her life and coming out on top. **Upgrades:** *Low-Gravity Workspace:* Add :Advantage: to Mechanics checks; *Research Records:* Spend :Advantage: :Advantage: to gain a permanent :BoosBla: on future checks of the same type; *Emergency Containment Measures:* Downgrade the difficulty of the workshop's focus skill once. *Reclamation Equipment:* Automatically reclaim half of the material price of a failed crafting check. **Tools:** *Simple Mechanics Tool * Supreme Quality (Upgrade), Safety Features (Add :Advantage:); *Specialist Mechanics Tool * Add :Success:, Safety Features (Add :Advantage: duplicate effect not applied to check); *Breaker Heavy Hydrospanner * Add :Advantage: to Mechanics checks; *VX-A Intelligent Toolbox * Reduces time for crafting by 1/2; *Recycling Station * Add :BoosBla: :BoosBla: to Mechanics checks to salvage or scavenge parts, Scavenging and salvaging takes 1/2 time, Recover additional 1/2 of material cost of failed crafting checks (cumulative with applicable workshop upgrade). ** Combat Victory (530)** - The PC wants to prove that the Rebellion's armed forces can defeat the Empire in head-to-head battles, and frequently pushes to launch devastating raids, ambushes, and strikes. This PC believes the only path to victory is through combat, and that the rebels are more than a match for the Empire any time, on any battlefield, under any condition. Tall and lithe, Julie's slight frame hides the fact that she's a significant powerhouse. Tough and agile, she tends to have a cheeky grin and crazy gleam to her eyes. She dyes her hair the color of the week. Legacy Character (From Akaru, KIA, 315xp earned, 250 duty) - +240xp, +190 duty - Total 380xp, 190 duty. CR1. Operation Duplicity: +25xp (base 20 + 5 motivation), +15 duty (base 5 + 5 duty + 5 mission report -5 lost item), +500cr (base 500), +24h. Promoted to CR2. Operation Dread Not: +25xp (base 20 + 5), +10 duty (base 10), +500cr, +24h. CR2, 46h. Operation Hatchet Job: +25xp (base 20 +5), +20 duty (base 15 +5), +500cr, +24h. CR2, 70h. Operation Aerial Deployment: +25xp (20xp base, +5xp motivation), +15 duty (15 base), +500cr, +24h. CR2, 94h. Operation Temple (Of Doom): +25xp (20xp base, +5xp motivation), +20 duty (15 base, +5 duty), +1000cr (500 base, +500 loot), +24h downtime. CR2, 270 duty, 70h. Operation Pain Train: +25xp (+20xp base, +5xp motivation), +15 duty (+10 base, +5 duty triggered), +600cr, +24h. CR3, 39h. Operation Gruuba Feud: +15xp (+10xp base, +5xp motivation), +10 duty (+10 base), 600cr, +24h, CR3. 26h total. Operation Crusades: +25xp (+20xp base, +5xp motivation), +25 Duty (+15 base, +5 duty triggered, +5 AAR), Promoted to CR4, +700cr, +24h. 50h total. Operation Taco Truck: +20xp (+15xp base, +5xp motivation), +20 duty (+15 base, +5 duty triggered), +700cr, +24hr. 62h total. Operation Forever Wander: +25xp (+20xp base, +5xp motivation), +25 Duty (+15 base, +5 duty triggered, +5 AAR), +700cr, +24h. 86h total. Operation Fire Sale: +15xp (+15xp base), +25 duty (+15 duty, +5 duty triggered, +5 AAR), +700cr, +800cr looted, +24h. Operation Gizer Shuffle II: +20xp (+15xp base, +5xp motivation), +15 duty (+10 base, +5 AAR), +700cr, +24h. Operation Trident I: +25xp (+20xp base, +5xp motivation), +10 duty (+10 base), +800cr, +24h. Promoted to CR5. Operation Stress Test: +25xp (+20xp base, +5xp motivation), +25 duty (+15 base, +5 duty triggered, +5 positive spin), +800cr, +24h. Operation PO Box: +20xp (+15xp base, +5xp motivation triggered), +15 duty (+10 duty base, +5 duty triggered), +800cr, +24h. Crafting - Specialist Mechanics tool (Lightweight 7, Safety Features): -6h, -600cr. One generic specialist mechanics tool left over. Crafting - Grenades for Maggie: -7h. Acquired 3 Grenade schematics. 2h . 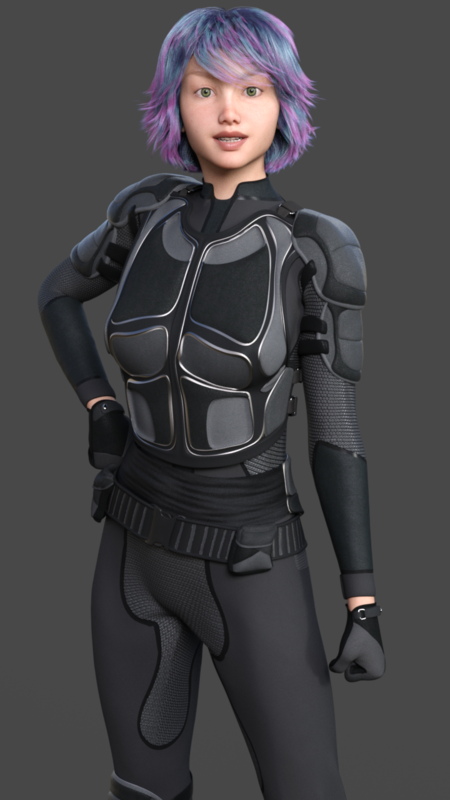 Crafting - Combat Armor for Maggie: -42h. 47h total. Crafting - Powered Melee Weapons for SCIENCE: -800cr, -38h. Crafting - Powered Melee Weapons for Maggie: -26h. Shopping - Julie & Maggie: Purchase VX-A Toolkit, -14h, -1625cr. Crafting for Raynor: Melee - Bladed Weapon. Acquired one schematic. -17h. Shopping: Bought Breaker Heavy Hydrospanner from Honk. Rarity 3, -250cr. Purchase with Omin: 1800cr of Energy Rifle parts. -1530cr, -6h. 44h total. Shopping - Group Sale - Rarity 4 blaster rifles: -17h, +2430cr. 69h total. Hours for XP: +5xp for 48h. CR2, 46h. Hours for XP: +5xp for 48h. CR3, 15h. Hours for XP: +5xp for 48h. CR3, 9h total.